About us - Folklore Dance Ensemble "Sedenchitsa"
Folk dance ensemble “Sedenchitsa” has been created in 2012 in Plovdiv. It has been founded by the choreographer Neli Karabahchieva, current and ex students of the high school with choreographic profile “St Kiril and Metodiy” Plovdiv, as well as amateurs. The ensemble builds its repertoire on the basis of the works of the known Bulgarian choreographers as: Cyril Haralampiev, Dimitar Dimitrov, Ivan Todorov, Emil Guénov, Dimitar Doychinov and others. 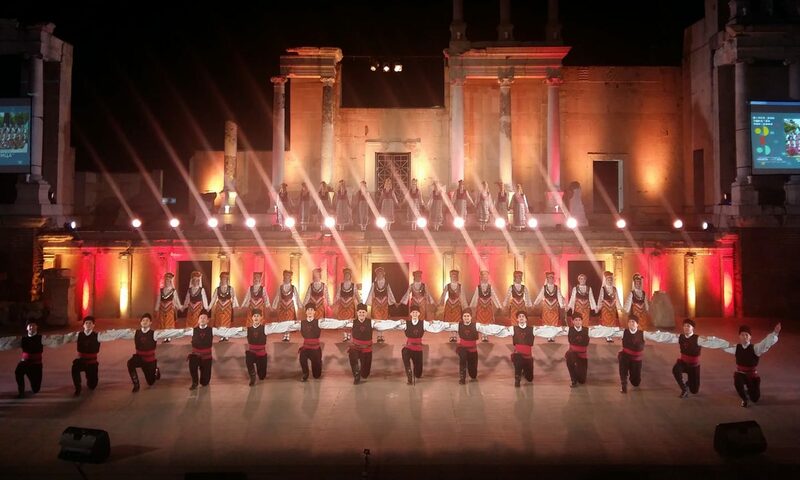 – The 1-st place for choreography at the II-th Balkan folklore festival in Plovdiv ”Hopni mi tropni” for the dance ”Pusta mladost” (Sacred Youth) of the choreographer Emil Guénov. – The 1-st place at the IV International Folk Festival “Golden Sand”, Chelopech. The ensemble develops a strong concert activity in the Plovdiv region. It has taken part in several international festivals in Montenegro, Italy, Croatia and Germany. There is a continuity between the different generations of the ensemble. Through its activity, ensemble “Sedenchitsa” aims to preserve the richness and traditions of the Bulgarian folklore and dances. Here you will find an opportunity for new acquaintances and a team keen on the Bulgarian folk art.